In contrast to the pocket-watch inspired Perpetual Calendar Heritage, the pair of new timepieces unveiled by H. Moser & Cie. at SIHH 2016 hew close to its traditional style. 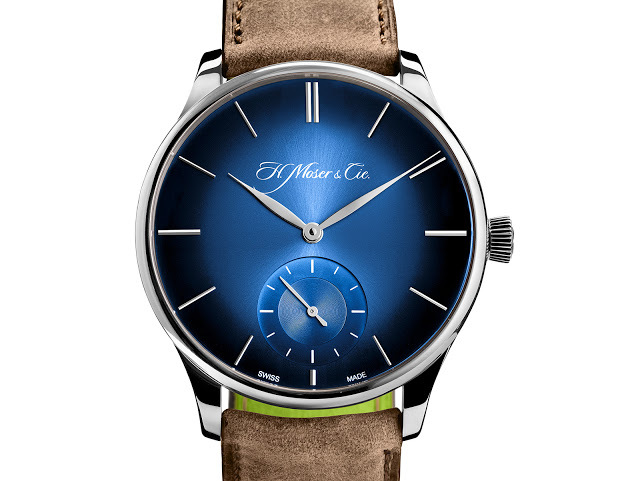 Both the Endeavour Centre Seconds Concept Funky Blue and Venturer Small Seconds XL share the typical Moser design, as well as metallic blue fumé dials. The Venturer Small Seconds XL is an enlarged version of the original Venturer (that was just under 40 mm in diameter). 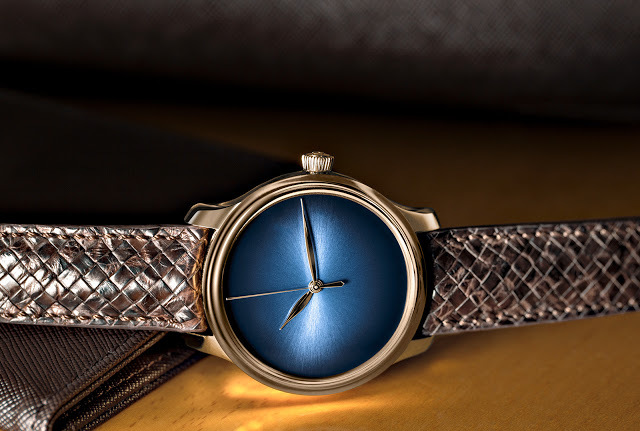 The new XL model is white gold, 43 mm in diameter and 12.6 mm thick. 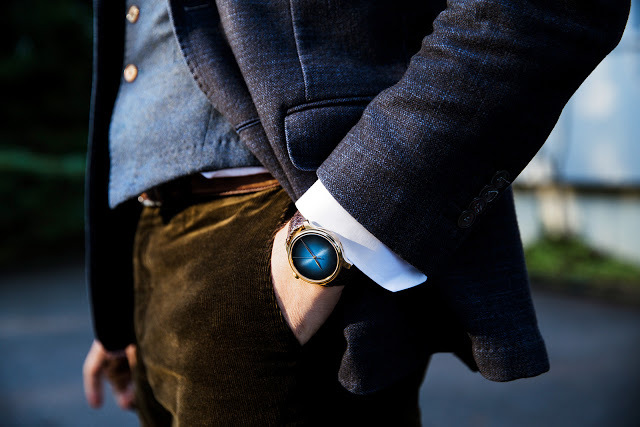 Like the smaller Venturer, the dial is slightly curved, with a graduated blue finish that darkens towards the edges. It shares the same movement as its smaller sibling, the hand-wound HMC 327 with a three day power reserve. It’s one of Moser’s less elaborate movements, with a simpler construction but still attractively decorated and recognisably Moser with the inverted “V” balance bridge. 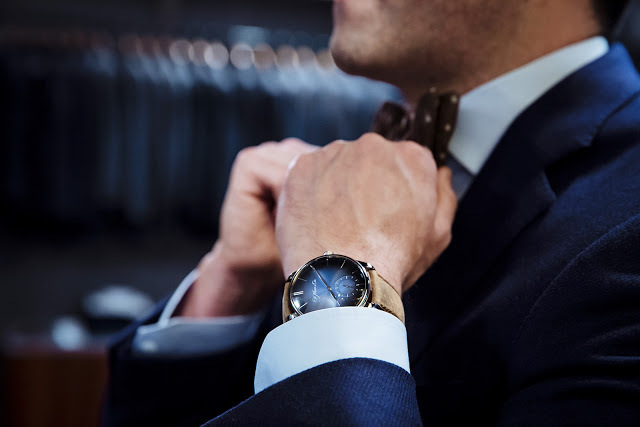 The Venturer Small Seconds XL is priced at US$23,800. 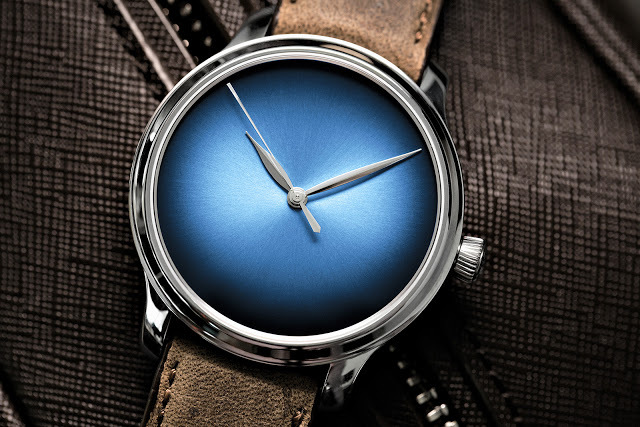 The Endeavour Centre Seconds Concept Funky Blue continues Moser’s run of minimalist watches with dials stripped bare. 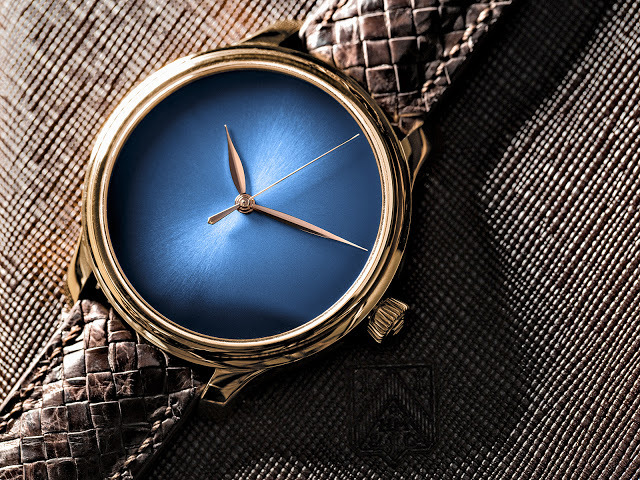 Hour markers and text have been removed from the dial, leaving just the blue fumé finish and a pair of leaf-shaped hands. Offered in rose or white gold, the case is 40.8 mm in diameter. 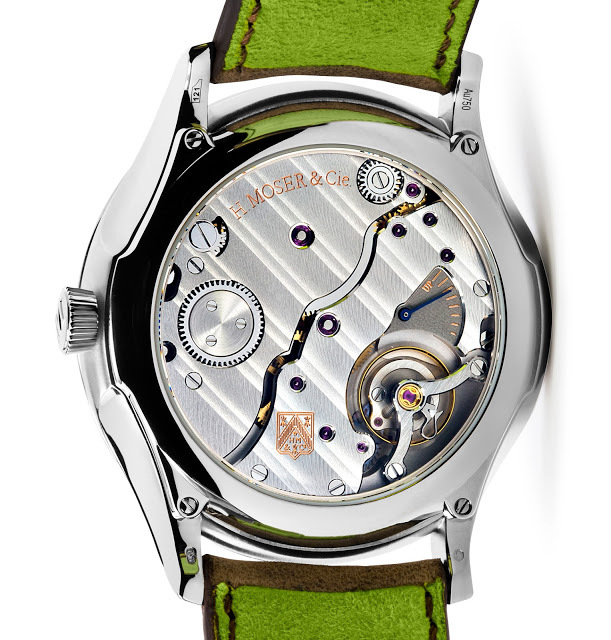 It contains the hand-wound HMC 343 movement, a simple movement but one fitted with most of Moser’s signature features. Those include an interchangeable escapement that can be swapped during servicing for shorter turnaround, a solid gold escape wheel and pallet fork, as well as a Straumann hairspring made by Moser’s sister company Precision Engineering. The Endeavour Centre Seconds Concept will cost US$26,500.